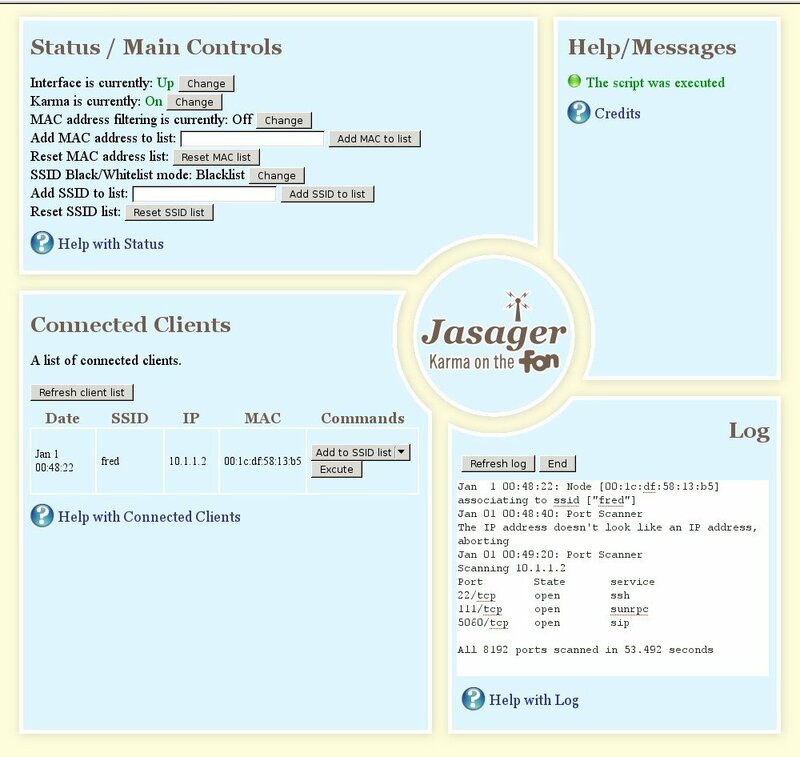 Below are a selection of screenshots showing Jasager in various states. 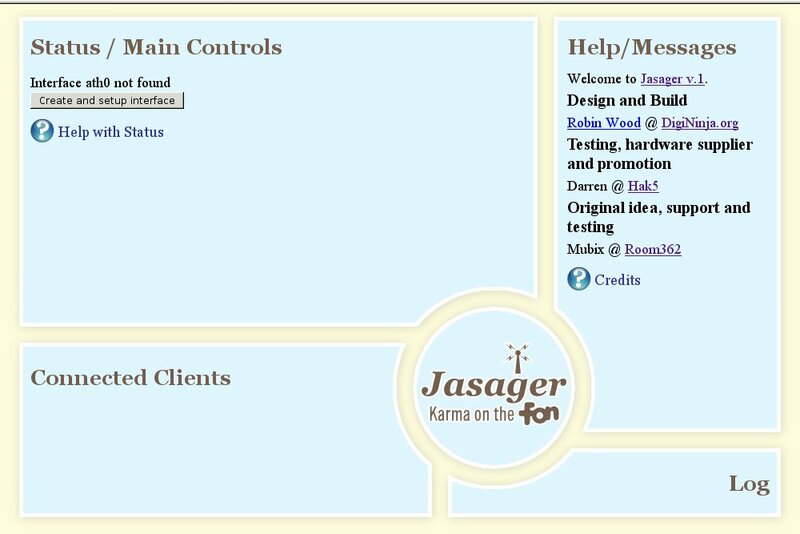 Jasager picks up if there is no ath0 available to work on and offers to create it for you. 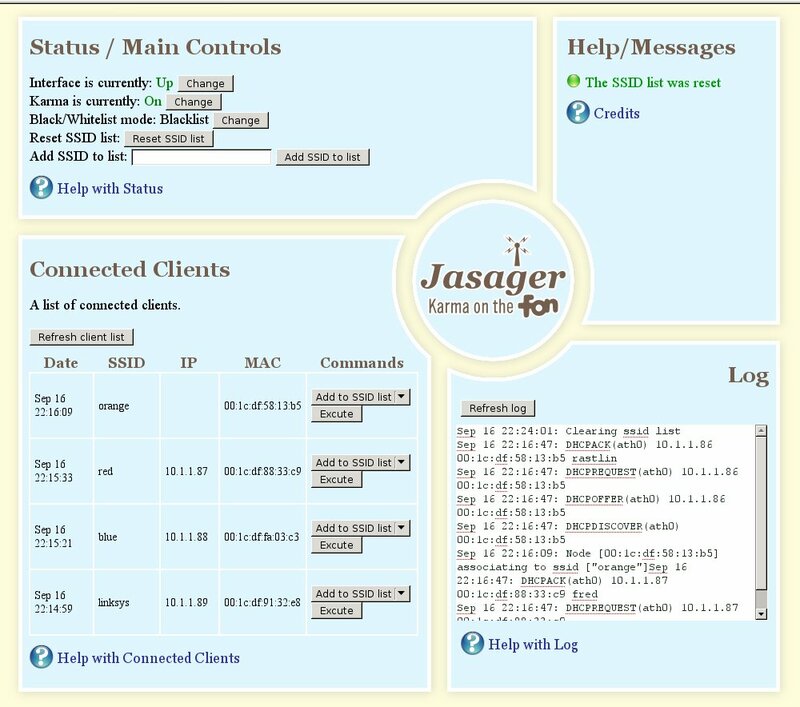 Normal operating mode with a few clients connected. 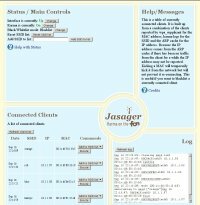 All the features have help available. 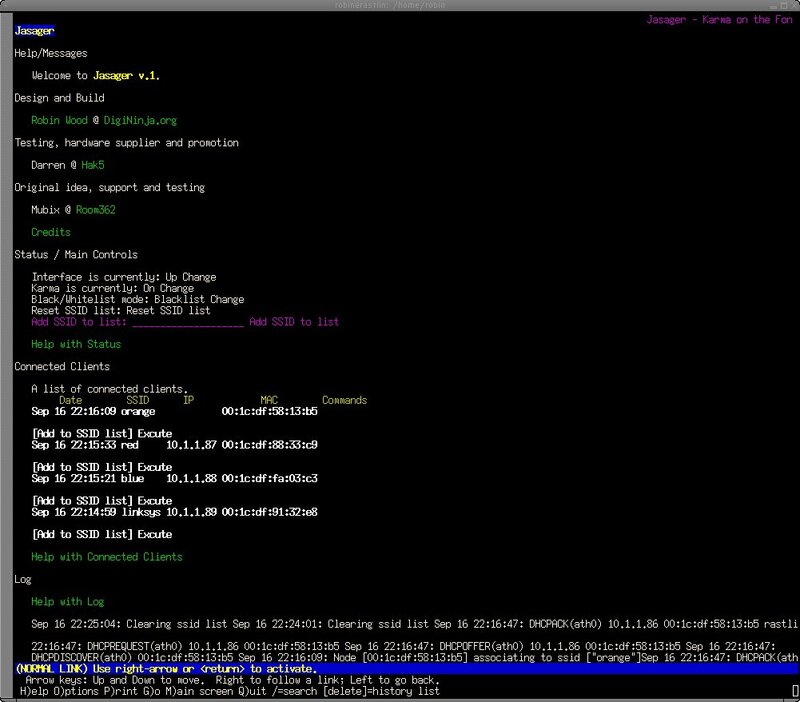 The Portscan module in action. 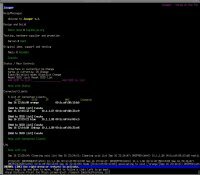 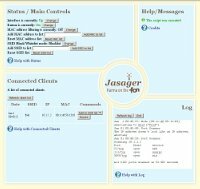 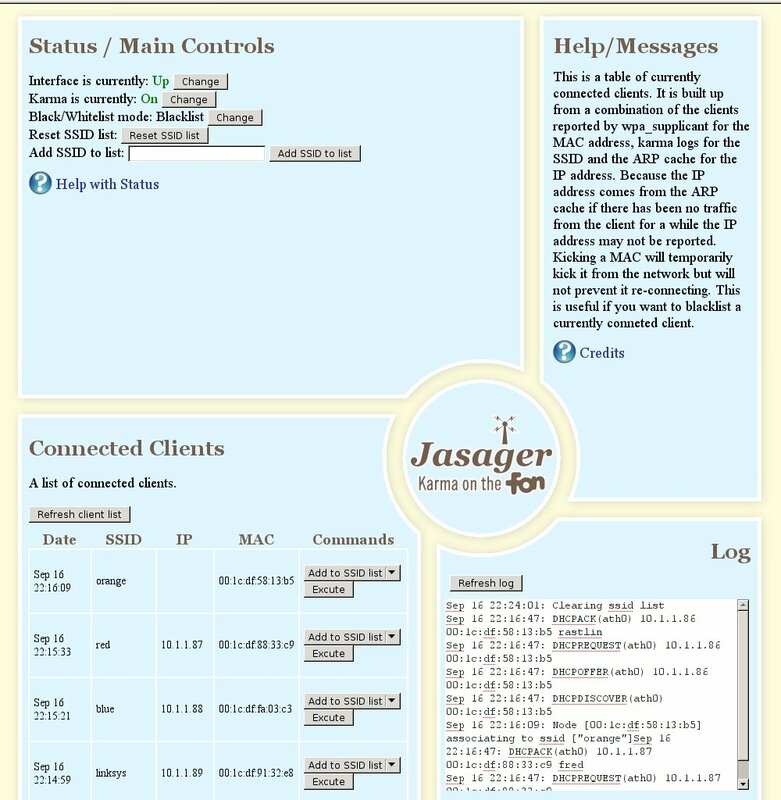 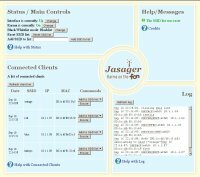 Jasager has been designed to run in any browser, including lynx for those ssh sessions.